Last May, we reported that Clinton-nominated U.S. District Judge Naomi Reice Buchwald ruled that President Trump can’t block leftist trolls on Twitter, citing the First Amendment. It seems Alexandria Ocasio-Cortez, the newly-elected Democrat Socialist from New York dubbed a “pompous little twit” by Greenpeace co-founder Dr. Patrick Moore, did the exact same thing President Trump did and blocked the Daily Wire’s Ryan Saavedra on Twitter. 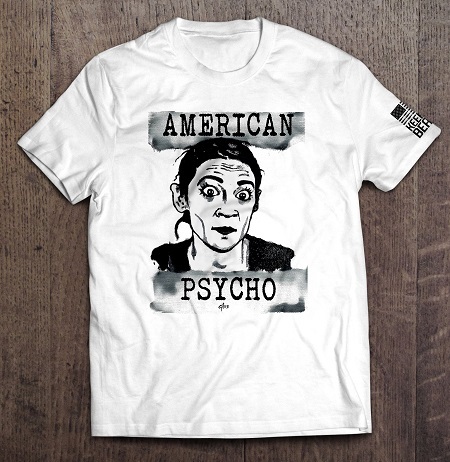 According to Twitchy, that took place after Ocasio-Cortez addressed Al Sharpton’s National Action Network, using an accent that reminded many of Hillary Clinton. Saavedra called her out for it, suggesting it was rather racist for her to address a largely black audience the way she did. Did Ocasio-Cortez exercise her liberal privilege? Or was it her socialist privilege? Remember, this is EXACTLY what President Trump did. And a federal judge said he couldn’t do it. Ocasio-Cortez’ Twitter account, which can be seen here, would appear to be quite similar in nature to President Trump’s, in that the New York Socialist uses it to spread her radical, far-left ideas to the world at large. So, what’s the difference between President Trump’s account and the one used by Ocasio-Cortez? Except for the fact that one is a Republican and the other is not, nothing.